Recipients recognized for making workplace safety a core business value. To recognize industrial companies with best-in-class safety, Rockwell Automation has announced U.K.-based equipment builder A.M.P Rose, and automotive manufacturer Honda of Canada Manufacturing as the winners of its fifth annual Manufacturing Safety Excellence Awards. 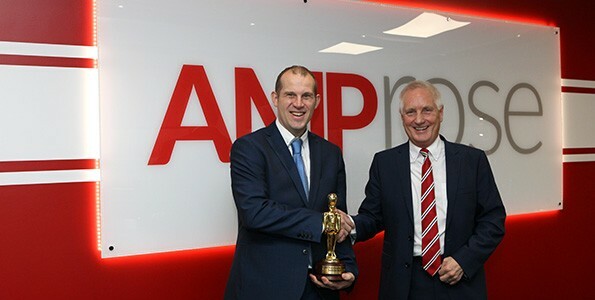 A.M.P Rose, a U.K.-based equipment builder, received an enterprise-level award for its companywide focus on safety. The company, which specializes in flexible packaging and flow-wrap machinery for many industries such as confectionary, snack and bakery, takes a proactive approach to adding contemporary safety solutions onto its machines.